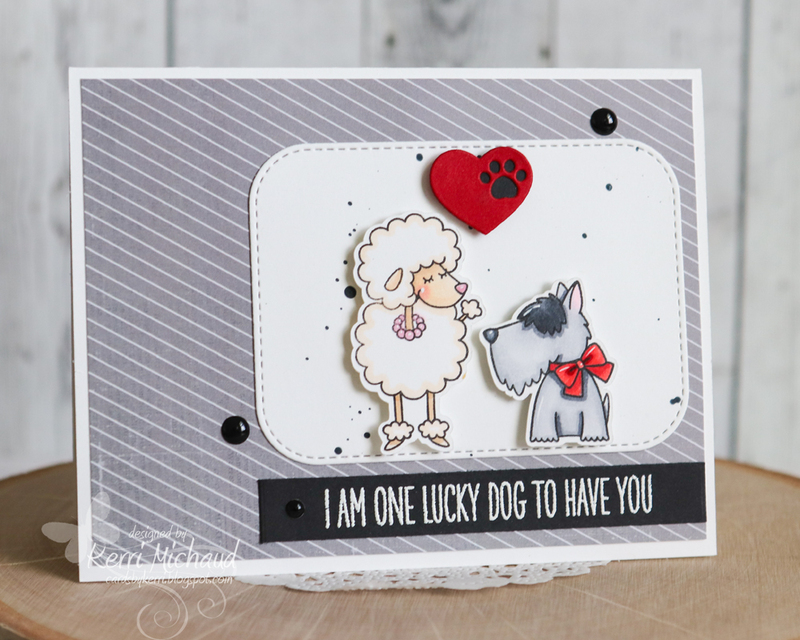 I used the adorable BB Lucky Dog stamp set along with the MFT Paw Prints Die-namics and the Inside and Out Stitched Rounded Rectangle STAX Die-namics. 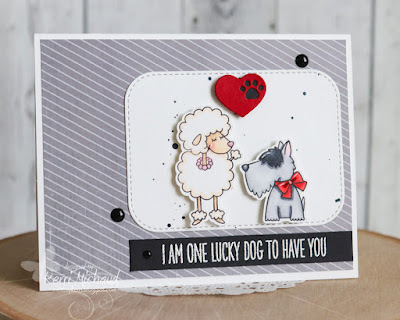 I heat embossed the sentiment using VersaMark Ink and ZING! White Opaque Embossing Powder. Finally, I used some Your Next Stamp Vintage Holiday Gumdrops for the black enamel dots. That's it for me! Thanks for stopping by again today!